One of the many things I love about living in the Pacific Northwest is the plethora of options one has to go for a hike. My dad hooked this King Salmon on his birthday and let me reel it in sometime around 1987. That’s my sister, Tina, helping me out with it. I was born in New Orleans, but spent the vast majority of my youth trudging through the woods and rivers of Kodiak, Alaska. I feel like Kodiak is a place that would be tough to live in as an adult…especially back in the 80s as, if I remember correctly, there was only 44 miles of paved road on the island and not a whole lot to do outside of drink, hunt, hike and fish. Seeing how I was just a youngin’, there was a heavy emphasis on the latter three. Some of my earliest memories are of reeling in big salmon on the Buskin River and scouring through old WWII bunkers with my mom, dad and sister high up on cliffs overlooking the ocean (technically the Prince William Sound, I believe). The weather in Alaska is much like it is here in Seattle…just a bit rainy and colder. So, much like we do here, you just dress appropriately and go outside when you live in Alaska…you can’t let the weather stop you from going outside or you’ll wind up a hermit. 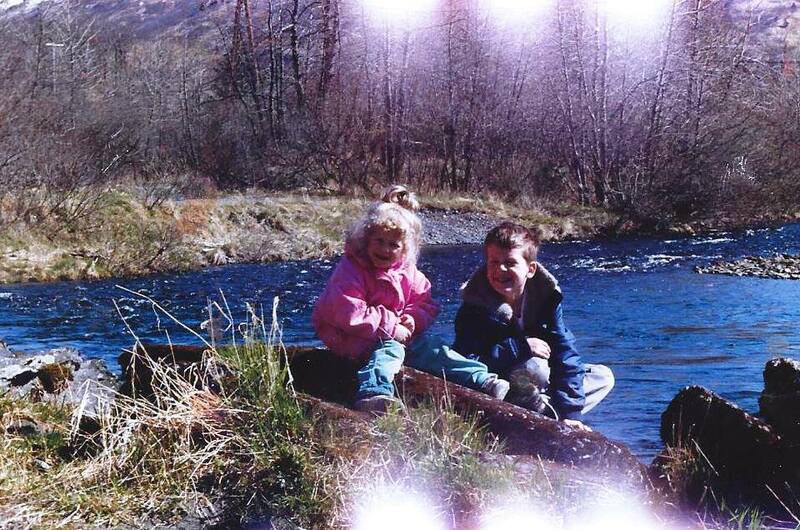 Me and my sister hanging out on the Buskin River in Kodiak, Alaska back in the 80s. 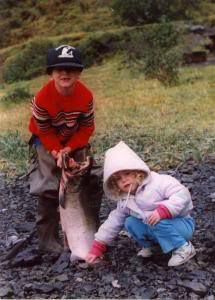 With years of falling in love with the outdoors in Alaska back when music sucked (yes, that’s the 80s if you’re wondering), my sister and I left the Final Frontier (I know Captain Picard says that’s Space, but it’s actually Alaska, sorry Jean-Luc!) for Alabama. I found the Deep South much too hot, sticky and infested with bugs for my liking. So when I returned to the Northwest in late ’94, I couldn’t have been happier. I moved to Seattle in 2002 to go to the University of Washington, following in my mom’s footsteps. I’ve left here and come back several different times…but I always come back. The Greater Puget Sound Area reminds me of a more modern and accessible version of Alaska, which suits me just fine. I can be fishing in one of the many rivers around here in the morning and catch a Mariners game in downtown Seattle that afternoon…this place is perfect for me! Much like Kodiak, there are plenty of places to drink, hunt, hike and fish around here. 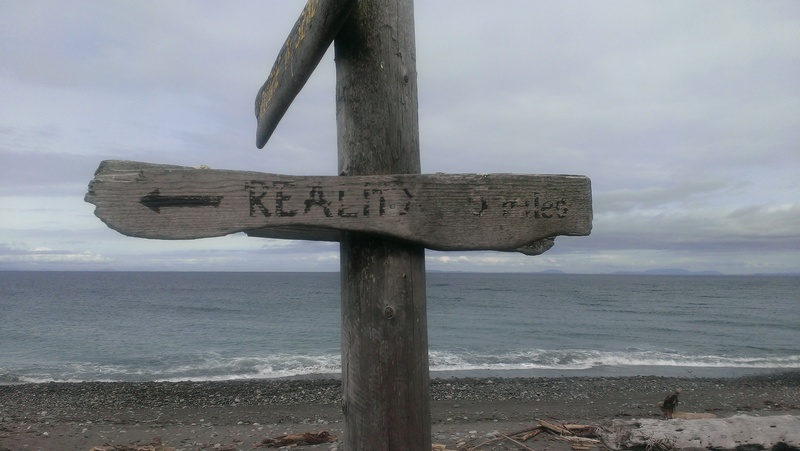 One of my more recent hikes was in Sequim on the Dungeness Spit. 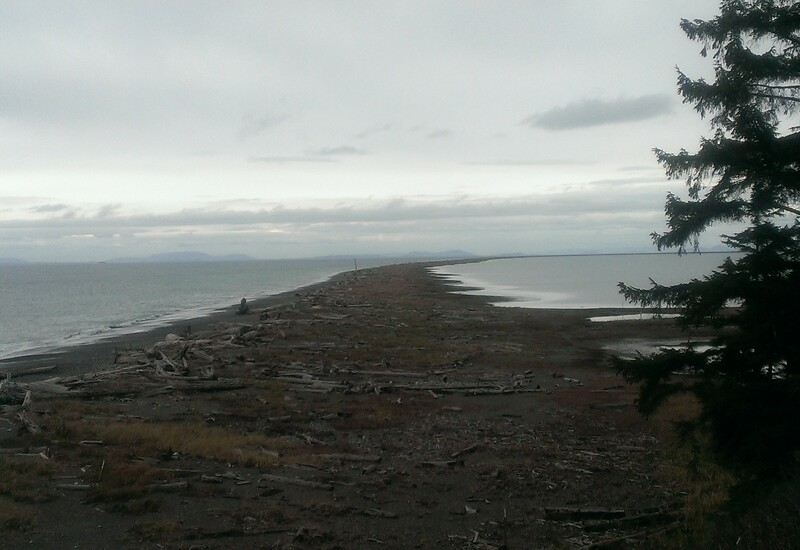 The Dungeness Spit is a 5.5 mile stretch of land that jets out into the Straight of Juan de Fuca. My 14-year-old nephew, Steven, recently came to visit my wife, Nina, and I for a week during his Spring Break. He had never really experienced Washington’s great outdoors so the wife and I wanted to show him some of what the state has to offer. 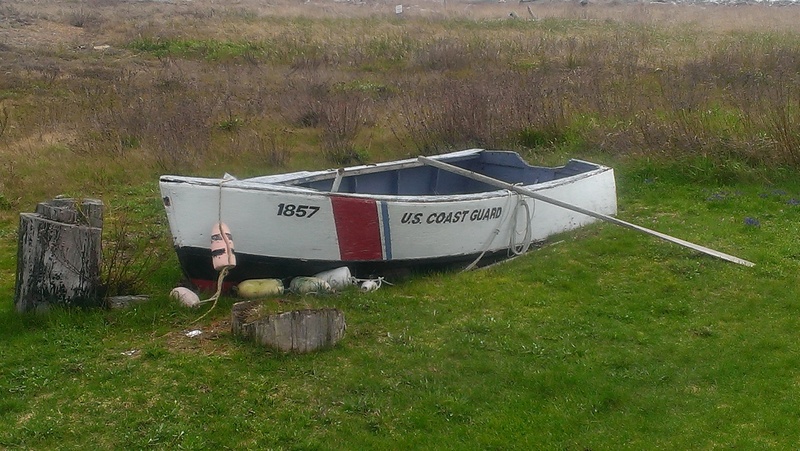 Nina and I had wanted to visit the Dungeness Spit last year during our trip around the peninsula, but ran out of time. So we decided this was the perfect opportunity to check it out. There’s a lighthouse out at the end of the spit so our goal was to make the 11-mile round trip because, well, why not? Lighthouses are cool and teenagers are into that sorta thing, right? We woke up at zero dark thirty, loaded up the car, and with my wife’s cousin, Jourdain tagging along, took off for the spit. When we got there, we were excited and motivated to make it to the end and back…it would be one hell of an accomplishment! But after just 2 1/2 miles of walking on down-slopping sand and rocks (some the size of a small watermelon) we were wondering what the hell had we gotten ourselves in to?! We pondered turning around, but, mainly driven by my wife’s desire to accomplish the feat, we kept on and – eventually – made it to the lighthouse. 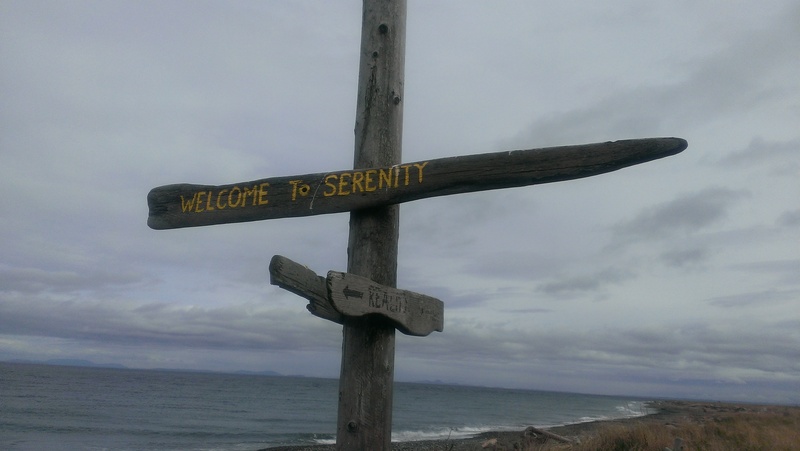 Once we reached the lighthouse that seemed as if it’d never come, we were welcomed to “Serenity” and sat down to rest our shaky and sore legs and feet. 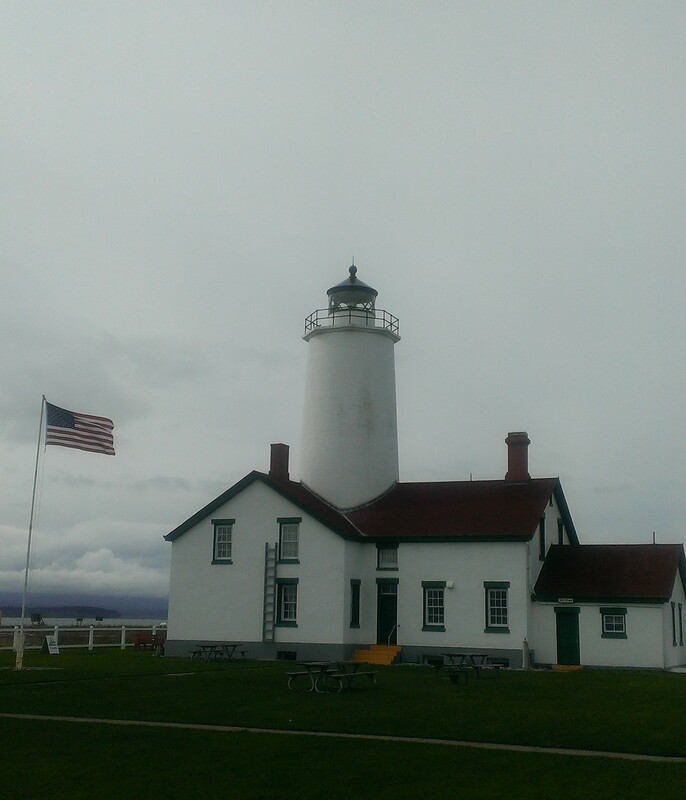 We were greeted by a group of volunteers who told us a little bit about the old lighthouse. The New Dungeness Lighthouse, as it’s called, has been in operation since 1857. It’s operated by, you guessed it, the New Dungeness Lighthouse Association. 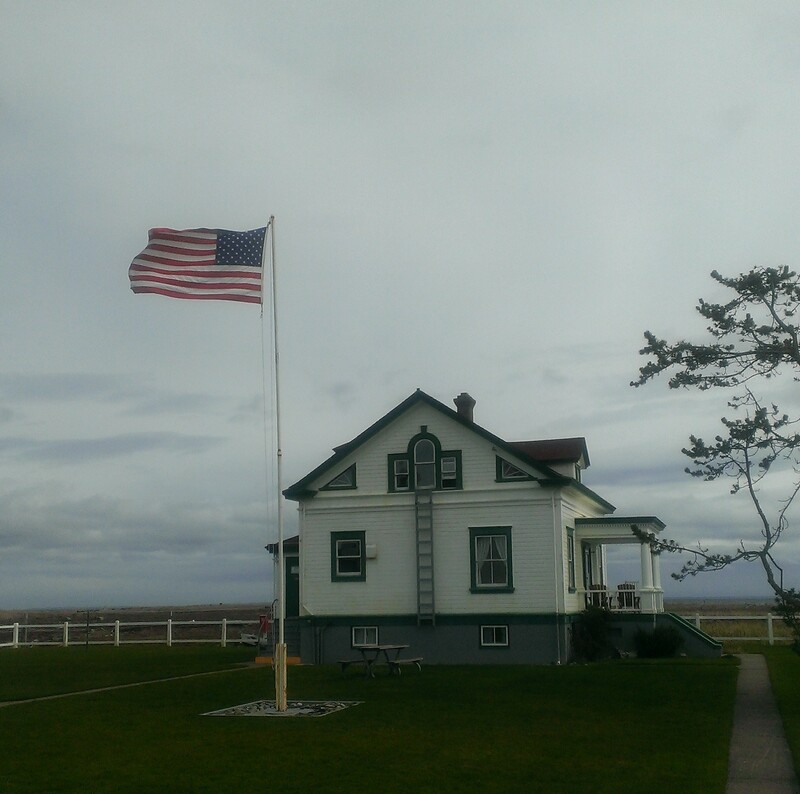 Volunteers spend a week at a time living in the house next to the lighthouse. They’re charged with upkeep of the grounds (mowing and what not), showing visitors around and collecting donations. They have a small room full of “stuff” found washed up on the spit over the years. As you exit that room, you continue up a spiraling staircase that takes you to the very top right next to the shining light that aids ships in navigation. You can see for miles from the top. There are markers on the windowsill that tell you what it is you’re looking at…you can even see Canadia (Oooo, Canadaaaaa!) from up there. After about an hour of sitting around and checking out what the end of the spit had to offer, it was time for us to head back to “Reality.” If I’m being honest here, we were not really looking forward to the walk back. The walk out seemed like it was 10 miles long and we weren’t really feeling like doing another 10 back. Thankfully, though, the trek back seemed to go much quicker than the seemingly endless walk out. Once we got back, we turned around and marveled at what we had just accomplished. There were some pretty neat looking birds, crab and rocks along the way, which helped us through some of the pain. It was a tough journey, but we came out alive…and Steven seemed like he had a good time so all was well. Apparently, we picked the wrong time to make the trip as it’s supposedly much easier during low tide as there is more soft sand to walk on. So if we ever decide to go again, we’ll be sure to coordinate our trip with the tides. Overall, it was a blast and if you’re ever looking for something to get out and do here in Washington, I highly recommend getting out and walking on the spit. 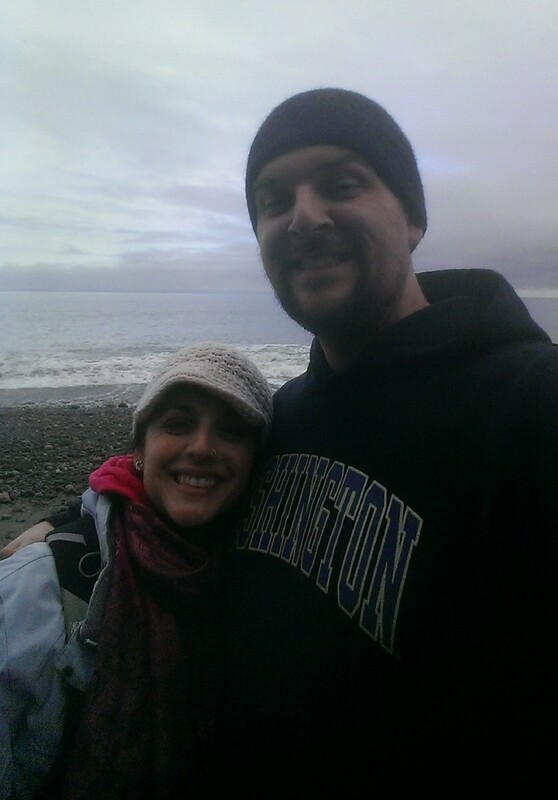 Me and my wife, Nina, taking a Dungeness Spit selfie! Volunteer’s house on the spit. Another view of the lighthouse.